Samsung Electronics on Monday said it expects memory demand that drove record second-quarter profits to continue into the September quarter —something that may hint at its involvement in Apple's upcoming iPhones, particularly the "iPhone 8." The company made the disclosure in announcing a $7 billion expansion of its NAND memory production in the Chinese city of Xi'an, according to Reuters. The company has already approved $2.3 billion of the investment, and should invest the total over the course of three years. Samsung has long been a part of the Apple supply chain in varying capacities, and a recent rumor indicated that Samsung will help SK Hynix supply 512-gigabyte modules for the "iPhone 8." 64- and 256-gigabyte modules will allegedly come from Toshiba and SanDisk. There's been no word so far on which firms are producing memory for Apple's "iPhone 7s" and "7s Plus," but Apple typically relies on a select group. This is mostly because of the sheer scale required —global iPhone units can reach tens of millions in a single quarter. Apple is likely to reveal all three new iPhones at a September press event. 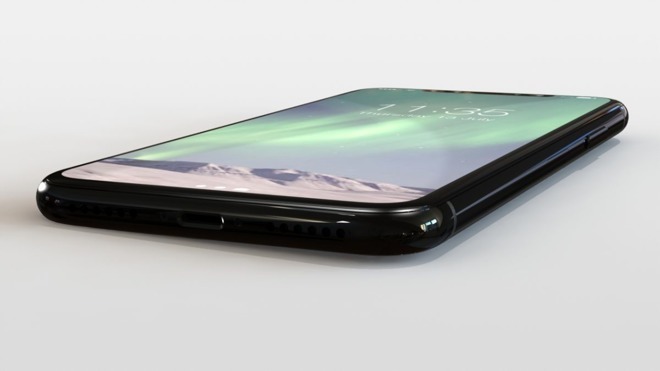 The "iPhone 8" should feature an edge-to-edge, 5.8-inch OLED display —made by Samsung —with a virtual control area and 3D facial recognition taking the place of a Touch ID-equipped home button. The "7s" and "7s Plus" should mostly resemble their predecessors, but include some improvements from the "8," such as an "A11" processor and wireless charging.